This hearty sandwich features our choice seven ounce top sirloin between two thick slices of Texas Toast. Served with lettuce, tomatoes, onions and pickles. 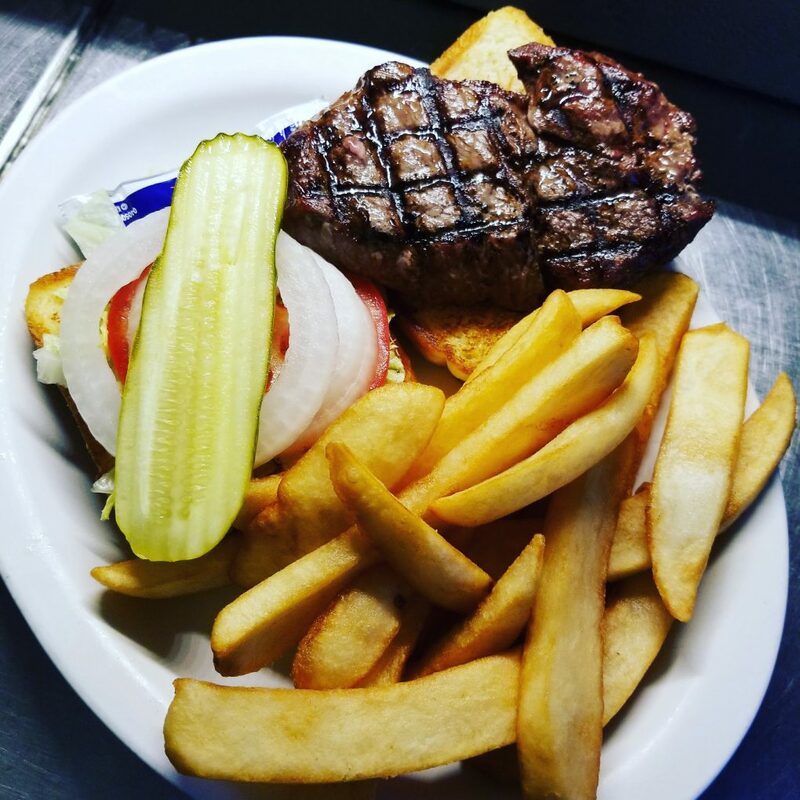 Served with our delicious steak fries or substitute baked potato.